What a fine, friendly flamingo! 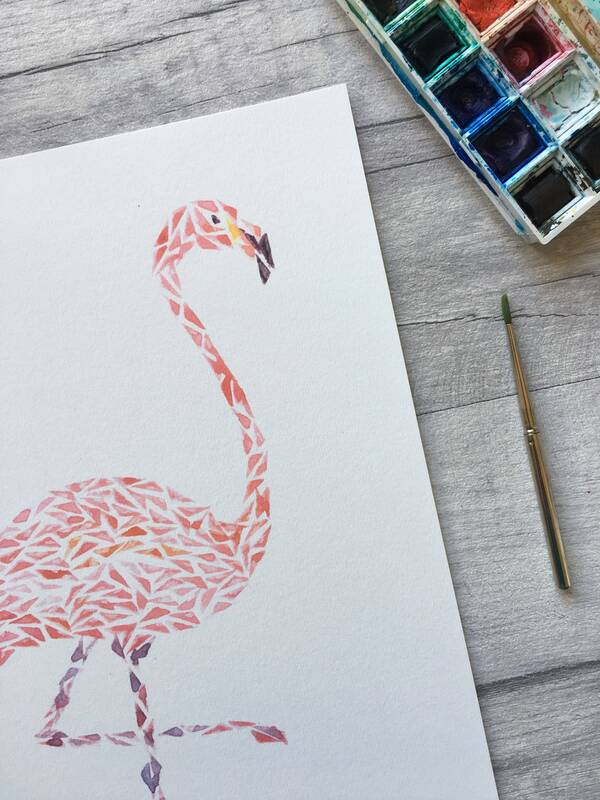 This awesome flamingo was created using a hand cut, textured stamp. 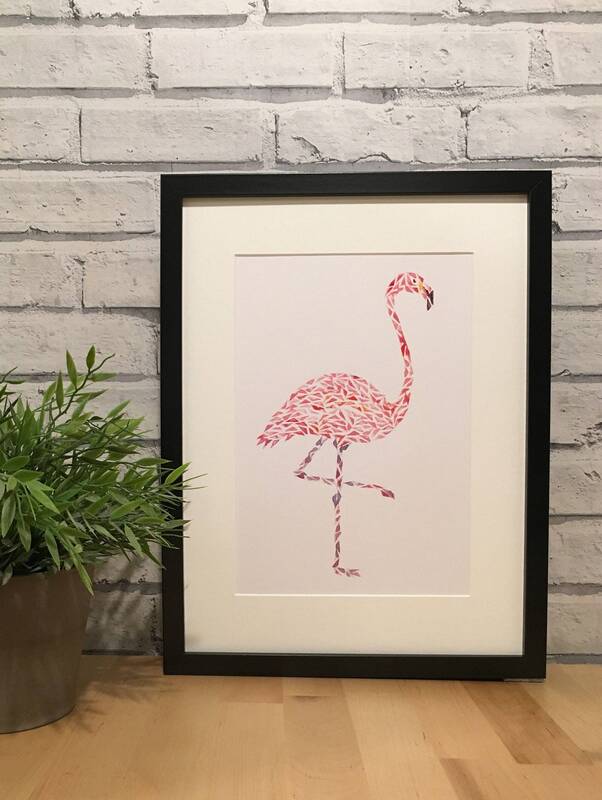 I printed each triangle carefully by hand to form this beautiful, long legged bird! 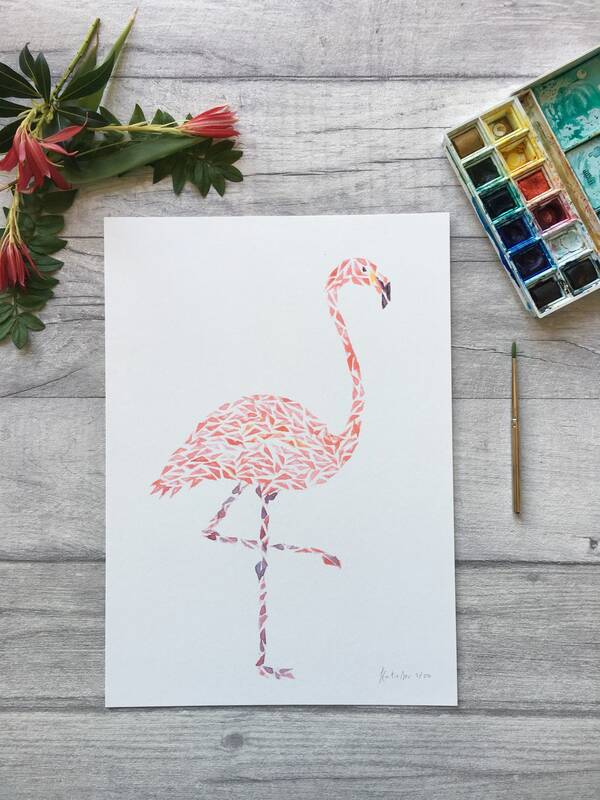 The pink flamingo print is a digital print of my original artwork. It is currently available in either A4 or A5 sizes. 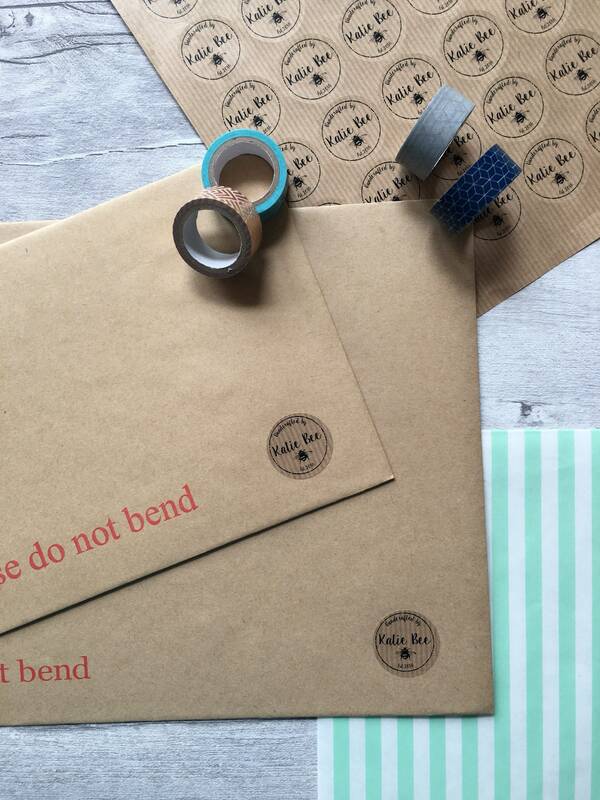 Your print is signed before being wrapped in cellophane with grey board to keep it in fab condition. 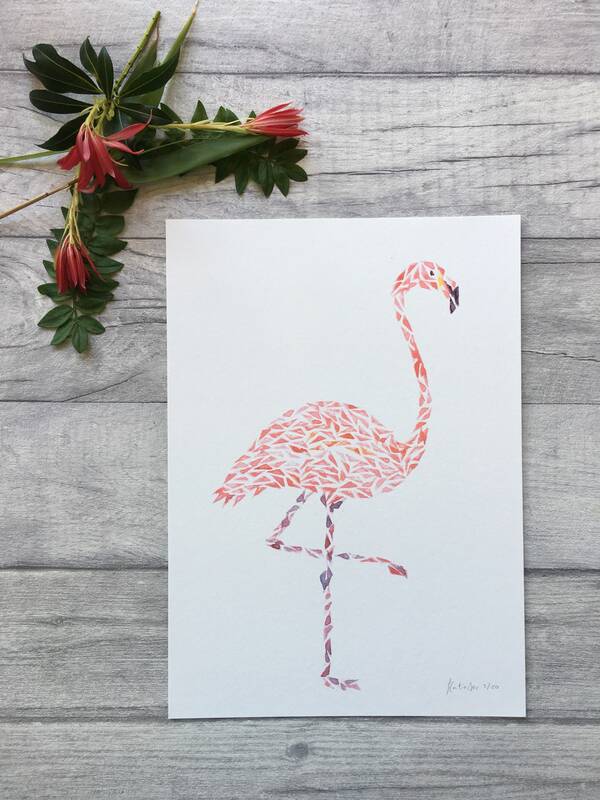 This pink, feathered flamingo is a colourful delight!